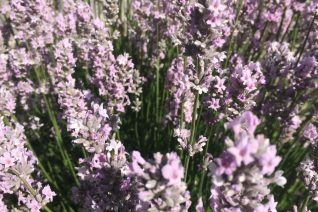 So many lavenders that we’ve decided to go with the very best. 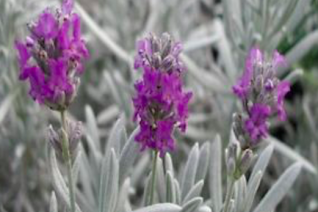 This hybrid is a cross between english lavender (L. angustifolia) and wooly lavender (L. lanata) and gives you wonderful almost white wooly foliage with deep purple thick flowers. To 2′ tall and 2′ wide in time this rounded evergreen shrub blooms for an incredibly long time beginning in early summer. Full sun and rich to average soil with light but consistent summer water. Very easy to grow in our climate. Shear the spent flower spikes and cut into about 1/2″ new growth for a compact and more densely blooming habit. Excellent landscape plant, informal hedge or specimen in a border. 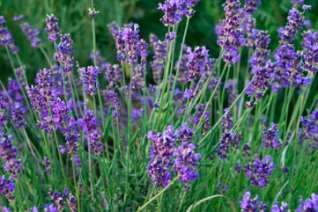 This Lavender looks good year round- better winter appearance than most. Lightly deer resistant. Not their first choice but not 100% immune to browse either. Aromatic foliage. Wonderful white foliage contrasts greatly with deep green foliage for depth in plantings. 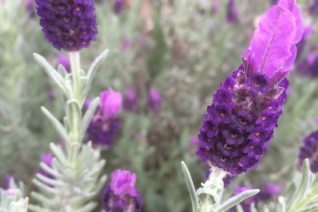 Spanish lavender is a floriferous and easy to grow shrub for full sun, well drained soil and little to no summer water when established. In mid spring to mid summer thick purple flowers have two protruding purple petal-like bracts from the top. Great contrast with the silver foliage. to 2′ x 2′ in a season. Cut back hard after blooming. Often self sows, seedlings are easy to spot (and smell). Moderate deer resistance. Lifespan 3-5 years. You don’t often think of lavender flowers in the color of pink, but this compact heavily flowering selection produces masses of clear pink flower spikes for months in summer. Mixed with purple and white flowered varieties and you get much more depth of contrast. The purple and white both look better. 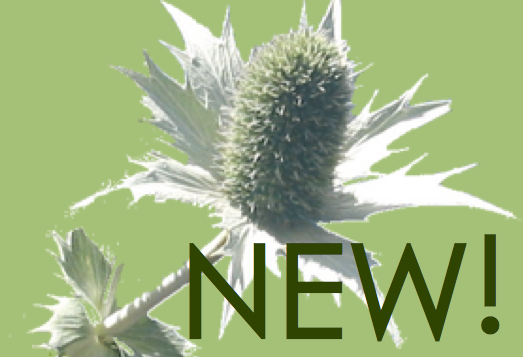 Compact gray foliaged shrub for average, well drained soil and light summer water. Full sun. To 2′ tall in bloom the foliage usually maxes out at a globe 14″ x 14″ . Cut back hard after blooming for a denser more compact plant. Fragrant flowers, foliage. Moderate deer resistance. Very easy to grow. Hedges, specimen. Etc.